Why are There So Many Potholes on the Road? | ACI ASPHALT & CONCRETE INC. It is usually about this time of year when clients start asking about pothole repair. The resulting conditions of inclement weather and motor vehicle traffic have left many parking lots, streets, and various other paved ways, crumbling with damage. Now that the snow and ice have melted away, our local streets and roadways are hit with craters of all shapes and sizes. This has many drivers asking why so many potholes have suddenly shown up. Continue reading to learn what causes potholes to form, as well as, how to repair and report local potholes in Indiana. If you discover an obstructive or dangerous pothole that has not been repaired or closed off yet, you can report them to the city. 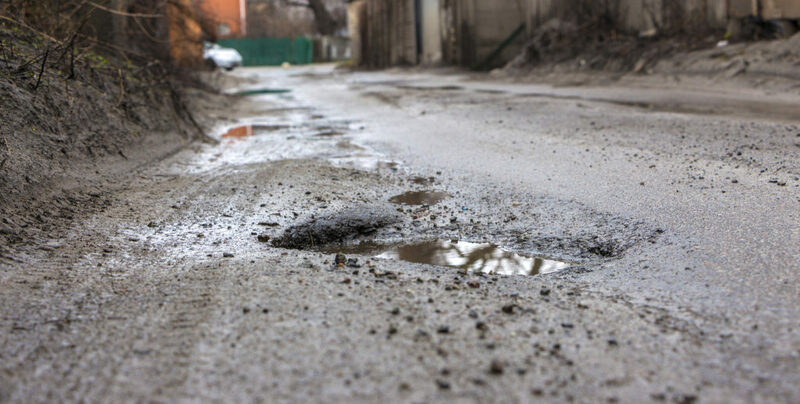 Read our blog, “How to Report a Pothole in Indianapolis” to learn the various options for your area. Potholes always seem to arise after a heavy winter of snow, ice, sleet, hail, and rain. Why? The root of the answer is permeation. Asphalt and concrete pavements are porous, which means water and other liquids, such as chemicals, can seep into the aggregate. During the harshest of winter, the moisture and liquid inside the pores of pavement will freeze, thus expanding the pavement around it. As temperatures fluctuate throughout winter, these liquids will melt, refreeze, and melt again. This predictable process is known as the freeze-thaw cycle, and it is the root cause of pothole formation prior to spring. As water freezes, thaws, and freezes again, the surrounding pavement continues to expand and contract. Overtime, this movement causes the pavement to weaken, and eventually, break apart. The umbrella method for pot hole repair is asphalt patching. This process can be accomplished using three different methods: hot asphalt mix, cold asphalt mix, and polyurethane asphalt mix. These are all cost-effective and efficient methods for repairing and patching pot holes in asphalt. Cold asphalt is mixed and poured at a lower temperature than other asphalt mixes, but its lifespan is not as long. Hot asphalt is a common choice for larger-scale pothole repairs because it is less available in smaller quantities. Polyurethane asphalt is customary option for pot hole patching because they last a long time, which is cost-effective for property owners. Preventing potholes in your pavement starts with proper installation. Without meeting all standards for pavement installation, including mixing, curing, and equipment, paved surfaces will not retain sufficient structural strength and durability, nor will they look nice. Aside from proper installation, routine maintenance is also important to protect paved surfaces from structural damages and water drainage issues. Talk to a local and trusted Indianapolis paving contractor for professional advice on both pavement installation and maintenance. 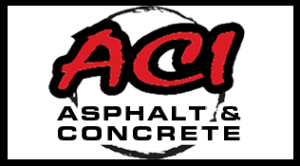 Call ACI Asphalt and Concrete Inc. at 317-549-1833 for professional paving services in Indianapolis, Indiana. We offer a wide range of asphalt and concrete services for commercial and industrial properties, at the most competitive prices in town, including inspections, installation, replacement, repair, and more. Request a free quote, today. This entry was posted in Pot Holes and tagged freeze-thaw cycle, Indianapolis paving services, pothole formation, pothole repair Indianapolis, prevent potholes, report a pothole, why so many potholes. Bookmark the permalink.